When it comes to the therapeutic benefits of cannabis, much attention is being focused on cannabidiol, commonly shortened to CBD.CBD, which does not get people high, is credited with helping people suffering from certain seizure disorders, and it also appears to help reduce pain and inflammation.But according to some researchers, some of the therapeutic effects from CBD are enhanced when it’s combined with THC.In an effort to help readers wade through the hundreds of bud strains at local cannabis dispensaries, we have put together a buyer’s guide to locally available flowers that contain a healthy mix of THC and CBD, with ratios in the neighborhood of 1:1 or 2:1 CBD to THC.Please keep in mind that supplies come and go, and sometimes a dispensary may be out of a particular strain. So don’t hesitate to ask for direction from your favorite local budtender, who may be able to steer you to CBD/THC blends that weren’t available when we went looking. Gogi DC at Market Street Wellness in Medford. Goji DC is named after the healthy and hip Goji berry, and has an aroma reminiscent of red berry, black cherry, strawberry. Some users even compare it to Hawaiian Punch, but unlike those classic commercials from the ‘70s, it won’t knock you out. Goji DC features a 1:1 ratio of THC:CBD, which means it has close to the same quantity of both compounds. One local grower, Ebb & Flow Farm in Talent, won a 1st Place award at the 2018 Cultivation Classic in Portland for its Gogi DC. It’s available at Market Street Wellness, Kush Gardens, Fireside, Ground Up, Emerald Triangle, Oregon Grown Cannabis, C&C Farms Rec Shop, and Rogue Valley Cannabis. Tangie Cure at Market Street Wellness. Tangie Cure is what its name implies — a very therapeutic herb. It’s one of the strains grown by Grown Rogue in Medford. Tangie Cure sports a 2:1 ratio of CBD to THC, with a CBD count in the neighborhood of 15 percent and a THC percentage around 6.5. The hybrid — 50 percent indica and 50 percent sativa — has a nice citrus flavor that delivers both medical and psychotropic benefits with a smooth, mellow hit. Available at Market Street Wellness, Cloud 9 Wellness and Oregon Farmacy. Critical Mass at Kaleafa in Ashland. Do you like cherry and citrus? 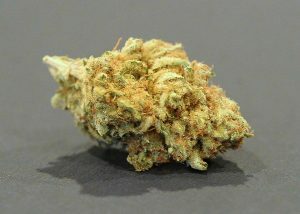 Critical Mass (with a ratio of 1.5:1 THC:CBD) is described as very mellow. The version at Fireside Dispensary is supplied by East Winds Cannabis out of the Columbia River Gorge, which won a 2016 DOPE cup award. Available at Fireside Dispensary, Hijinx Cannabis and Kaleafa Cannabis Co. Lemon G at Kaleafa in Ashland. Lemon G, with a 1:1 ratio of CBD to THC, is a daughter of Original G13. 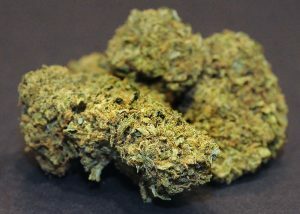 A sativa/indica hybrid, Lemon G is a sociable strain and, as the name suggests, has a strong lemon fragrance. Lemon G sports a THC percentage of 15.9, with a CBD count of around 11.39 percent. It is available at Emerald Triangle Dispensary and Kaleafa Cannabis Co. This mellow strain, aka Orange Tangie 2, will allow beginning consumers to explore the benefits of THC and CBD without being overwhelmed. It’s available at Cannabiz Experience, House of Leaves, Market Street Wellness, Breeze Botanicals and Mother Earth Medicines. Vienna Skunk at Talent Health Club. There has been some confusion about this strain because “skunk” has become a generic term for powerful weed, but this greenhouse-grown, indica cross is a nice, tranquil strain that registers 12 percent CBD to 15 percent CBD. It’s available at Talent Health Club. CBD Raspberry Diesel at Breeze Botanticals. 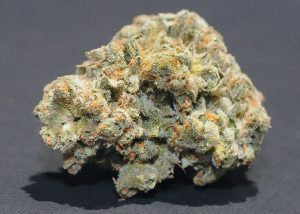 CBD Raspberry Diesel has such a great flavor that it’s a favorite for jellies, edibles and other home-cooking recipes. But it’s also available in flower form. It tests out at 9.1 percent THC to 6.7 percent CBD. You can find it at Breeze Botanicals. Pennywise crossed with cheese at Cannabiz Experience. Pennywise is a 1:1 indica cross between Harlequin and Jack the Ripper, a combination that lends this strain its crazy clown name, according to Leafly. But don’t be scared, Stephen King won’t show up on your doorstep. It’s available at Cannabiz Experience, La Mota and Rogue Valley Cannabis. Astral Works at Pharm to Table. 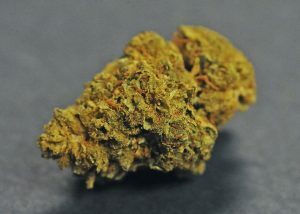 Leafly describes this 2:1 bud as “possessed of a more buoyant head than typically found in body focused-CBD strains. Astral Works brings gentle focus and calming clarity to the daily flow of duty and distraction. Its THC count comes in around 5.6-6.5 percent, while its CBD ranges from 9.4-10.8 percent. Find it at Top Shelf Wellness Center. CBD Diesel at Kaleafa in Ashland. CBD Diesel registers at 6.19 percent THC and 12.54 percent CBD, a classic 1:2 mix. Tasting strongly of wood and pine, it’s a great complement to enjoying the Oregon outdoors (weather permitting!). It’s available at Market Street Wellness, Wicked Flower Shoppe and Kaleafa Cannabis Co.
CBD OG Kush at Breeze Botanicals. This mellow sungrown indica registers 4.85 percent THC and 10 percent CBD, with hints of lavender and pine. Available at Breeze Botanicals. Frank’s Gift at Madrone Cannabis Club in Ashland. Leafly describes Frank’s Gift as “a phenomenal phenotype of Skunk Haze that has been known to generate upwards of 20 percent CBD. This strain delivers a nearly mythological ratio of CBD/THC that lends itself to a variety of medical uses associated with physical discomfort, inflammation, and anxiety. Though Frank’s Gift has predominantly appeared in Oregon, it’s slowly being disseminated throughout the West Coast.” It’s available at Madrone Cannabis Club and Emerald Triangle. Massive Tsunami at Pharm to Table. Massive Tsunami is noted for its tranquil effects. 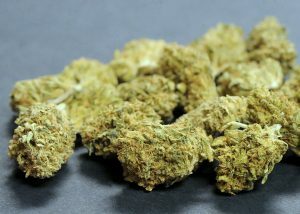 It boasts a THC count around 6.34 percent and CBD content at about 11.85 percent. Available at Pharm to Table and Rogue Valley Cannabis. Medihaze at Breeze Botanicals in Ashland. CBD Medihaze was developed specifically for a calming effect. With a taste of mint and lemon, it’s as good as a cup of hot tea in fact, take both at once and you’ll find your zone. It typically comes as a 1:1, but Leafly says 2:1 CBD:THC variants are quite common, which we’ve seen locally. It’s available at Breeze Botanicals and Fireside Botanicals. 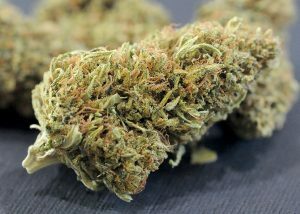 Cannatonic is not nearly as heavy as its name implies. With a CBD:THC ratio of anywhere from 1:1 to 2:1, Cannatonic is recommended for pain, stress, depression and other maladies. Its flavor profile contains notes of citrus, earth and pine. It’s available at House of Leaves, Pharm to Table, Top Shelf Wellness and Ground Up. 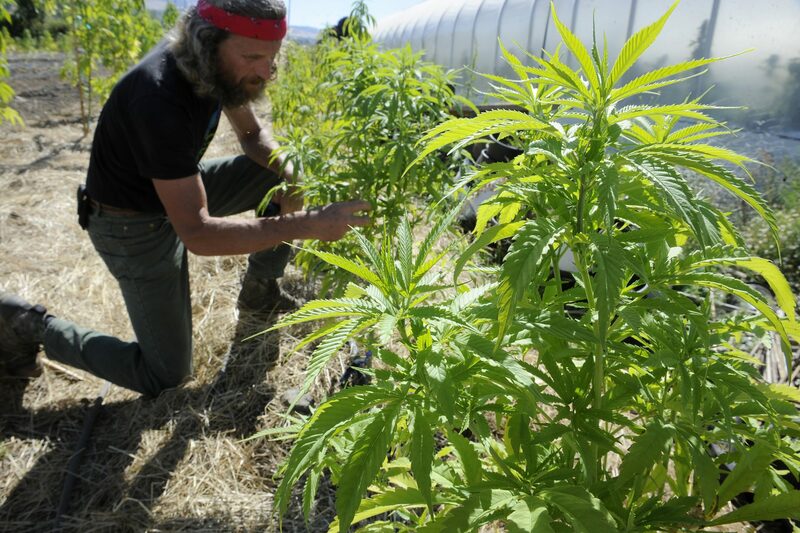 David Smigelski is editor of Southern Oregon Good Herb. Reach him as 541-776-8784 or dsmigelski@rosebudmedia.com.